The European Central Bank (ECB) has said that none of the eight countries that are supposed to join the euro are ready yet. It said Bulgaria, the Czech Republic, Latvia, Lithuania, Hungary, Poland, Romania and Sweden are not yet ready to join the 17 nations that use the euro. The ECB is obliged to report on their progress at least once every two years. Of the 10 countries in the European Union that are not in the eurozone, only the UK and Denmark have opt-outs from joining the currency. The rest are supposed to join at some point. The ECB assesses its convergence criteria based on inflation, deficits, exchange rates, long-term interest rates and legal compliance with the eurosystem of central banks. Rather than go out, some countries may need to be kicked out of Eurozone. Some countires may never be able to make in to it for many years to come. it is already enough ! EU do not need new Grecee, Spain and Portugal !!! Probably Andorra will be the only country within a decade. 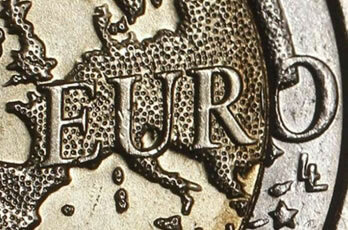 no go out of eurozone is better than go into eurozon.